This episode of anthology series Winners & Losers takes a fresh angle on going straight. Smooth-talking criminal Mick (Ian Mune) dreams of starting over, by cultivating mushrooms with cellmate Charlie (Coronation Street's Ivan Beavis). Charlie claims to have committed a lawful murder, thanks to a technicality. In an inspired change to Barry Crump's original story, Mick commandeers a bus to finance the pair's plan. Crump praised the episode, but felt that Mick and Charlie treat their third cellmate unfairly. 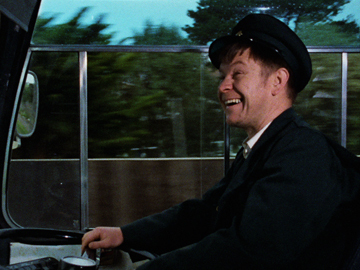 Director Roger Donaldson cameos in a red Swanndri during the bus scenes.